Value-added milk products are likely to continue their rise, says new Royal Society of New Zealand Fellow Dr Skelte Anema. That means we’ll keep moving away from commodities like dried milk powder and export more expensive products such as fresh and long-life liquid milk and cream. A Principal Research Scientist at the Fonterra Research and Development Centre, Dr Anema has worked in the New Zealand dairy industry since 1990. He tells us how the science and economics have changed, and how processing milk in different ways can effect milk proteins, making for more consistent products, a longer shelf life, or even pourable cheese. When you first started working in this area, New Zealand had cream-topped glass bottles of home-delivered milk. How has the research environment changed in the last 26 years? Fresh milk that is sold in New Zealand is only a very small part of our milk supply. But one thing that’s very different now is that we used to do a lot of research on milk powder. When I first started, the focus was on making reconstituted milk products from milk powder. There was no value in exporting water, and milk is about 85% water. Now the premium on liquid milk products is so high there is value in exporting milk and cream, and the focus is on making liquid UHT milk products for export to markets such as China. I’ve done a lot of work on understanding and improving the stability of these extended-shelf-life milk products. Sometimes you’ll get sediment forming at the bottom during long-term storage of UHT milk, or even a creaming layer on top. In rare cases the whole package will gel, although if that happens it’s usually later on in the shelf life. Those stability and aged gelation issues are also much fewer these days because our milk is more controlled – we used to process the milk just as it was, with daily and seasonal variations, but now we control the milk going in. But the last thing you want is to have any customer opening a package of our milk and it looks like it’s gone off, even if it hasn’t actually. I had done research on milk protein interactions in processed milk for decades without realising how important it would be. I published huge numbers of papers 15-20 years ago looking at the way the proteins interacted, and these interactions have since been found to be important in the stability of milk during storage. That’s often the way the research works; you don’t find out the impact for decades. Now I think I’ve found out what the root cause of sedimentation and gelation of milk is, although it will take time and more research to completely control it. I can’t go into specifics because it’s quite new, but it has to do with changes to the environmental conditions of the milk at the time of processing that eventually causes the interactions that cause sedimentation or gelation nine months down the track. Is most of your work on protein interactions within milk? Most of my colleagues think I’m a protein chemist, but I’m actually a chemist that works on proteins. My primary interest is the changes that occur to milk proteins during processing, which sounds easy. But milk is actually a really complicated system. I try to find out which interactions occur, so that we can change the way they behave. For example, can we make the proteins interact in a way so that we can make a yoghurt that is thinner or thicker? Can we change protein interactions to make cream whip better? 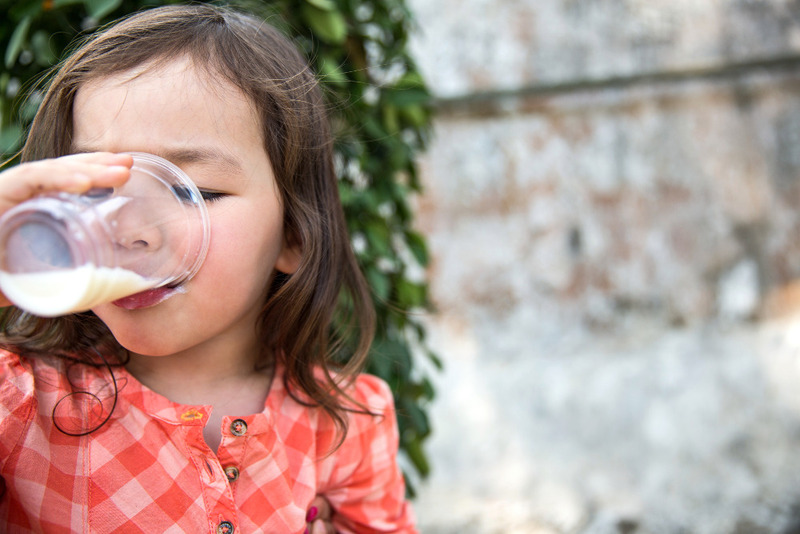 Another change that’s occurred over the years is that there used to be fewer milk protein-based ingredients. I was involved in the early research on milk protein concentrate about 22 or 23 years ago. That’s now become a major product and there is now a diverse range of milk protein concentrates products for different applications. We also make huge numbers of ingredients that other food developers use in their products. There is such a range of some ingredients that there are handbooks so they know how to best use the various types in different applications. Often they’re interested in making the products more economically – they might want it to hold more water so they can put less protein in. Or they may want a cheese that doesn’t melt, to put inside sausages, for example. Can you change the way cheese melts? Yes! One of the products we make a lot of is processed cheese and we often make it to have different properties. Milk contains casein and whey proteins and cheese is usually made of the casein. We found that if we started putting more of the whey proteins in, sometimes the cheese became firmer, and sometimes softer. What we found is that if we changed the pH during the cooking process, we could make the cheese change in firmness by more than ten-fold. All the cheeses had identical pH and compositions at the end, but changing the pH during the processing changed the way that cheese interacted with the protein matrix. We could make cheese spread that you could pour out as a liquid but if we raised the pH during cooking, that cheese was firm enough to slice. That sounds amazingly space age. Is it for sale? We did patent that process, and did do commercial trials on it; we knew that if we could make that work it was going to have a major commercial impact. But the factories found it too hard to control the pH cycling during the processing; the technology to control the pH accurately enough lagged behind the science. I do find most exciting that research when you can see a direct commercial impact. One example is a number of years ago, we were making an infant formula but a substantial amount of it was being rejected. They could only make the product at a certain time of year when the milking season was in the middle stages, and outside of that it would fail. There were weeks at a time when it couldn’t be made. I got involved and found some key process levers that needed to be better controlled. After they took on that advice they never really had a problem again and managed to extend the manufacturing through the whole season. That was a really clear example of a commercial impact, worth hundreds of millions of dollars. I love doing fundamental research, but when you see an outcome like that it justifies the work in many ways. What does being elected as a Fellow of the Royal Society of New Zealand mean to you? I’m quite chuffed. You don’t strive for this kind of recognition, and I’ve always been told by my colleagues that I’m doing good work. But getting that recognition from your peers across the whole scientific community; that makes a meaningful difference. It puts my work into context. I remember the colleague who nominated me, stopping me a decade ago and asking what my publication record was like. He said we should consider nominating you as a Fellow of the Royal Society of New Zealand in a few years’ time. I thought no more would come of it, but years later he did nominate me; he’d obviously planned it for quite a long time. So to become a Fellow you need to be doing good work, and publishing well, but you also need someone like him to recognise the work and go to the effort of making the nomination.